When people think about lobbyists and their engagement in the political process, it usually is focused on legislation. And while CalChamber certainly is engaged on hundreds of pending bills each year in the Legislature, we also spend a fair amount of time lobbying regulatory agencies. The agencies are just as busy impacting the rules that apply to employers as the Legislature. As a CalChamber lobbyist, I am responsible for working on the bill from the time it is introduced in the Legislature through the time regulations are proposed and adopted by the regulatory agency. Workplace safety rules originate from the legislature, and also from the agency. Given that workplace safety is one of the policy issues I handle, I am very involved with CalOSHA and their rulemaking activities. The rulemaking activities of Cal/OSHA aren’t often on the radar or in the media, however, its rules have an enormous impact on employers and this year is no exception. Cal/OSHA is currently working on a list of regulations, some that are in the infancy stage (meaning just being vetted/discussed), others pending in the regulatory process, or have already been sent to the Office of Administrative Law for approval. The Division of Occupational Safety and Health known as Cal/OSHA creates occupational health rules and the Occupational Safety and Health Standards Board (Standards Board) develops occupational safety rules. Once the rules have been developed, generally through a process that includes stakeholders in advisory committee meetings, the rules are submitted to the Occupational Safety and Health Standards Board (Standards Board) for consideration and adoption. Once a rulemaking package is submitted to the Standards Board, it can take anywhere from 6 months to a couple of years to complete the rulemaking process and for the new regulation to become law. For a complete list of the recent regulatory activity and to receive notices about regulatory activities , visit Cal/OSHA. Just to highlight a few, Cal/OSHA is considering regulations regarding indoor heat prevention for various workplaces (which is a follow-up to their outdoor heat prevention regulations), exposure to second-hand marijuana smoke at the workplace, amusement ride inspections and permitting, as well as exposure to naturally occurring asbestos, and lead in construction and general industry. 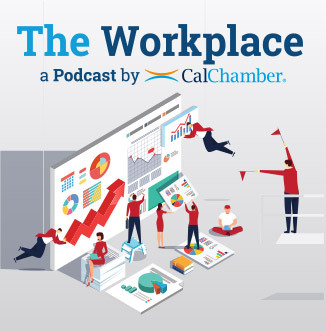 CalChamber has been actively involved in a number of these rulemakings, working to impact proposed regulations to be least burdensome on employers while still making sure employees are protected. The Standards Board is working on one especially important rule that would establish employee access to their employer’s Illness & Injury Prevention Program (IIPP). For more information on this rulemaking process, access the Employee Access to IIPP AC page. To receive notices about Cal/OSHA Advisory Committee meetings: contact Cal/OSHA headquarters at:  DOSHMAILLIST@dir.ca.gov.